Matt was named as one of America's top-ten teachers under 40, and was recently listed as one of Golf Digest's top 20 Instructors in Texas and one of the top 5 Instructors in Houston. 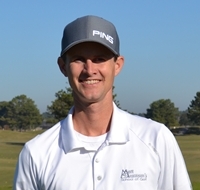 Swanson is a PGA-certified professional who has worked with several nationally recognized teachers, including Jack Burke, Jr., Jim Hardy and Hank Haney. His instruction has been featured on KTRK-TV Channel 13's Shell Houston Open News Special, as well as in the Houston Chronicle, Texas Golfer, Golf Tips, Gulf Coast Golfer and Maximum Golf. Richard Hines brings a wealth of experience to our staff at Matt Swanson's School of Golf. 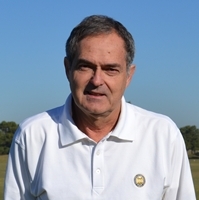 He has been a golf teacher for more than thirty years and is a Quarter-Century member of the PGA. Richard was the Head Golf Professional at the Lakeshore Country Club (owned by PGA Tour professionals Jeff Sluman & Dudley Hart) and the Midvale Country Club in Rochester, NY. He also served as an Operations Consultant to Robert Trent Jones, Sr. at the Coral Ridge Country Club in Fort Lauderdale. He also wrote monthly golf instruction tips for the Rochester Voice Newspaper in 2000, 2001 & 2002 and did live TV golf tips during the 6:00 news while in Rochester. Steve has been a PGA member as a touring and club professional since 1980 and has played competitive golf since the age of 12 years old. As a member of the U.S., Asian and European tours, and having competed in two U.S. Open’s, he knows what it takes to compete at golf’s highest levels and what parts of your game are critical to becoming a quality player. 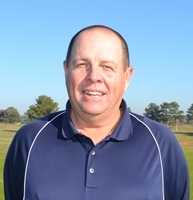 For the past 9 years, through the South Texas PGA, Steve has assisted in growing the South Texas Junior Program and improving the South Texas Club Professionals tournament series, which keeps local, PGA professionals competitive in their golf game. Daryl has been teaching at Matt Swanson's School of Golf since 2006 and is an avid student of the golf swing. Daryl made a hole-in-one on the Lakes Course, number 9 (Par 4), at Wildcat Golf Club. Daryl is a Custom Club Fitting Specialist and Director of Club Fitting at Swanson Golf Center. He has extensive knowledge about all aspects of custom fitting, and the various club designs available through each manufacturer. In addition to custom club fitting, Daryl teaches adult and junior private lessons and playing lessons.